If you haven’t yet, you HAVE to go check this app out! It’s only been out since March, so it’s still a baby…and most people still are learning about it. But it’s truly awesome, you guys! The possibilities are absolutely ENDLESS here. And as homeschoolers, we have a LOT to be excited about in the education realm with this thing. 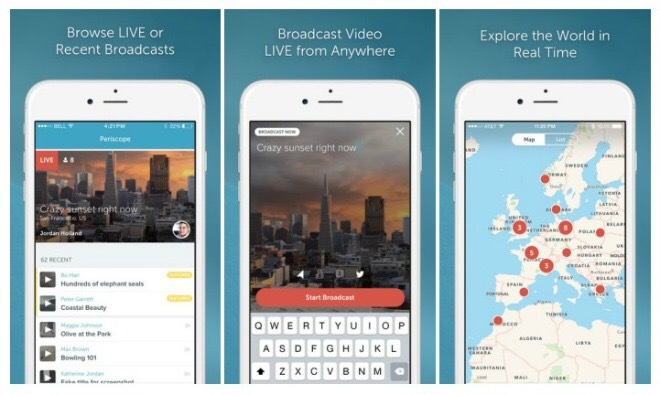 Periscope is a streaming video app that allows users to broadcast or watch streaming video. Ok, what’s so new about that, you ask? Well, it’s easy peasy with the features of your smart phone and the app…making it possible for ANYONE to gain a huge audience and make a statement, share their world, educate a population, entertain, any way they like. Limited only by their imagination. And the viewers have the ease of popping on and off broadcasts all over the world at any moment of any day. All day. Every day. AND…viewers get to interact via text comments with the broadcasters, so you can ask questions real time of the broadcaster and HEAR and SEE them answer. REAL TIME. This has been possible in other formats before, but not with the simplicity this app allows. 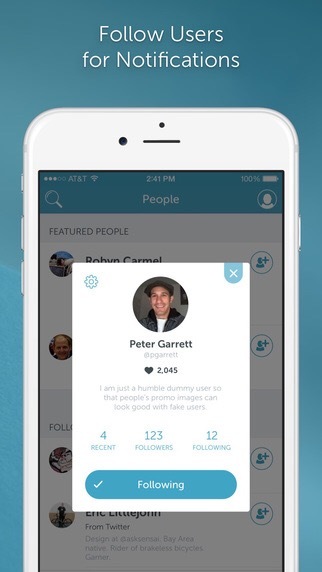 There are also growing numbers of people discovering ways to use Periscope in AMAZING WAYS!! Take, for example, Julie Bogart of the infamous writing curriculum Brave Writer. She does GREAT scopes! Very inspirational! Go check her out! You don’t need the app to watch the videos on her YouTube channel! Another option is to have the app automatically save your videos to your phone (available in Periscope “settings”, and then you can upload to YouTube or your website or wherever you choose. But unless you set this up ahead of time…in 24 hours, your video is GONE GONE GONE, so make sure that if you are scoping and you want to save your videos, you figure that out BEFORE your video disappears!! But lets get back to the glorious possibilities with homeschooling and Periscope, shall we? 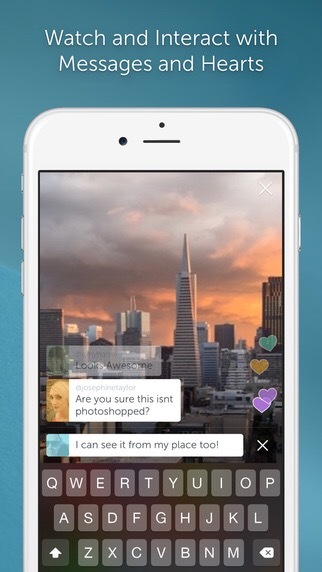 Like Julie, many people are using Periscope to educate others…on any topic under the sun. I follow many business related scopes that help me learn better ways to improve my blogging and business…and there’s a bunch of homeschool related scopes helping homeschool moms learn how to improve their homeschooling too! Often this is simply just a person talking to you via their phone and answering questions as people type them to them in the comments. You’d be amazed how informative this can be! Especially when the presenter is a particularly good presenter! I’ve learned a lot already, and I’ve only just started on Periscope a few weeks ago! This ability to have free, in your hand, any minute of every day, your own little classroom, to learn an unending stream of fascinating and inspiring information..is just…in the words of the 9th Doctor (for my fellow Doctor Who fans…spoken in my best Christopher Eccleston voice) FANTASTIC!!! I’ve seen live broadcasts from the beach where we were watching wild otters, the African savanna watching wild animals in a watering hole, a walking tour of the streets of Rome where viewers were given the choice of going to see the Trevi fountain or the Spanish steps (we chose the fountain), a balcony in a home in Paris overlooking the city, the inside of an exhibit in the Monterey Bay Aquarium, a neighborhood temple in Japan, and on and on….just really neat stuff! And all along the way, people are asking questions of the broadcaster, and they are answering those questions, LIVE. I’m told there are also many artists and musicians that scope regularly…I’ve just not yet discovered them. So you can see why I’m so excited about this app! Anyone with a smartphone can get the free app and set up an account…Then you will want to start looking for people to follow. I recommend starting with @bravewriter and @andie_nicole32 …Andie is a neat young woman that works at the Monterey Bay Aquarium here in California that I recently discovered regularly scopes from her workplace…showing aquatic animals and answering questions live from her viewers! My son particularly loves that he gets to hear his personal questions answered and he knows that the next time we go to the aquarium (it’s not far from us) we are going to try to meet Andie in person! 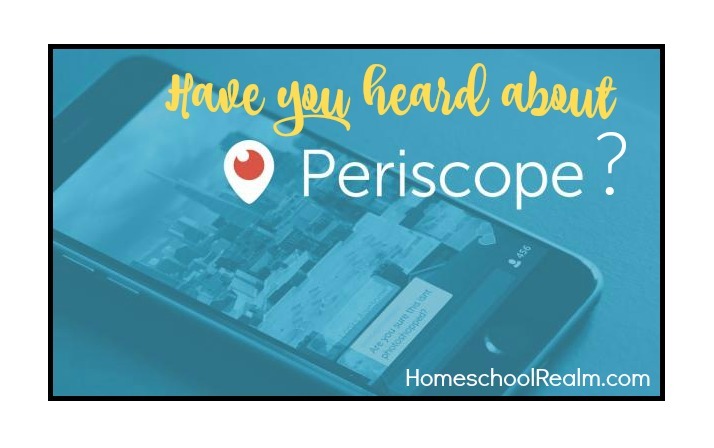 To find more great people to follow, head on over to HomeschoolScopes.tv, which is a Facebook group of homeschool scopers! There’s plenty of scopes to choose from over there! And the ladies there regularly share each other’s scopes, so if you decide to try your hand at scoping, be sure to post so they can share yours too! I’m in the process of gathering a list of educational scopes to create a webpage…so far it’s still difficult finding all the good educational scopes because everything is still so new and not many organizations have discovered Periscope yet, so there’s not a huge list to share yet. But here’s a couple more: @gerryvanderwalt is a wildlife photographer in South Africa that’s got some pretty cool scopes in the wilds of Africa…@pandiapress is the curriculum publisher, Kate Johnson, who just started scoping about her curriculum…@justjamerrill is the homeschool mom from FreeHomeschoolDeals.com and she has some sweet scopes with her kiddos, plus good tips about all sorts of things homeschoolers can benefit from…. @melissawiley is the children’s book author and homeschool mom of 6 that is just cute as a button and scopes about books….and @amymilcic is another adorable homeschool mom that does lots of homeschool scopes as well as casual mom scopes that are a hoot. So check all those out, to get you started! I forgot to mention the reason you want to follow people….you get a notification whenever that person goes live! Then you can pop on (if you’re available) and join in, live, in their scope! That’s the most fun! But if you miss it, you can always catch the replay later….you just won’t be able to participate in the chat. So that’s the basics of Periscope! One word of warning, though…Periscope is NOT kid friendly in the sense that you won’t want your kids unsupervised on there. There are no filters for language or video content. Anyone can type anything or video ANYTHING. They do have rules, but there’s no way currently for them to prevent anything, only punish after the fact…so, yes, you can imagine what could potentially be said or shown. And it is. So don’t allow children to access this app without adult supervision. What I do is make sure that I have screened the scoper ahead of time, so I know that they are appropriate for my child to view/listen to. Then I turn off the chat while we watch so that my child won’t catch any trolls that might type inappropriate comments. So far it’s worked well for us. Let me know in the comments below what you think of Periscope and if you have any favorite scopers! I’d love to learn more! And as I learn more, I’ll share more! Thank you for adding the disclaimer about Periscope not being kid-friendly content. I think this needs a HUGE emphasis. As an adult I have been mortified at some scopes I’ve clicked into after they were titled something very innocent. Yes. Sadly, such is the internet. 🙁 And unfortunately, some people don’t think of this immediately, so I wanted to make sure to give a heads up. There are definitely some very icky things on Periscope… as there are all over the internet. We must continue to be vigilant with our children to keep what we feel inappropriate from our children…each family will have to determine what exactly that means for themselves. Likewise, I am very hesitant to allow my children to do any broadcasting themselves…even though it does seem to be a really neat idea…there are far too many trolls on Periscope and there is no way to keep them out of your broadcast. You can keep the location setting off, and you should, and that keeps you off the global map and that keeps many of them away….but I’m told that you are still posted temporarily in list view and that will potentially still bring in strangers and with this, potentially trolls. So I will not, at this time, allow my children to scope. Because there’s no way currently to keep anyone from saying anything they want to them. And they do. I’ve seen far too many inappropriate things asked of young girls in scopes. Not happening to my children. You can block them after the fact, but I’m not going to even open up that door, personally. But everyone gets to make this decision for their own children, of course.